I began piano lessons at age 6, trumpet at age 9, and began teaching myself the guitar at 10. My electronics knowledge comes from my father, who had the RCA television and stereo shop in my hometown of Pocahontas, Arkansas for nearly 20 years. My dad is still fixing televisions at age 79. I attended the University of Arkansas at Fayetteville as a music major, and worked weekend shifts at the U of A radio station (my first experience playing classical music on the radio). I spent a summer playing piano, guitar and bass at the defunct “L'il Abner”- based theme park Dogpatch USA, near Harrison, Arkansas. After a few years playing music professionally, I finished a BS degree in Radio/TV production at Arkansas State University in Jonesboro. After another few years playing music in the Ozarks, I moved to Memphis with my wife. I’ve served as Operations Manager of WKNO-FM since 1988, and morning Classical Music host since 1994 – conducting more than 4,500 Checking on the Arts interviews along the way. 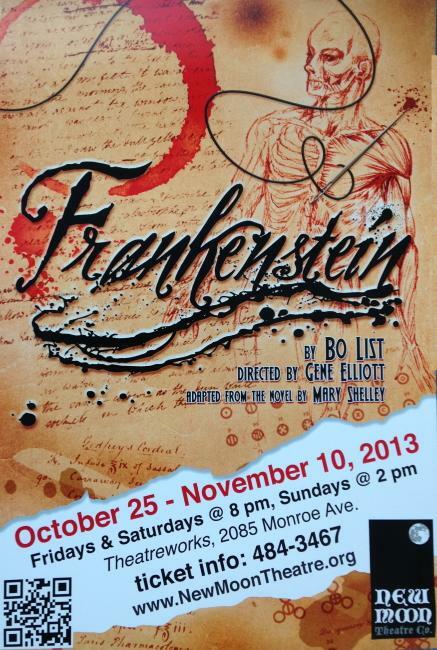 New Moon Theatre Company's Executive Producer Gene Elliot directs Frankenstein, adapted for the stage by Bo List. Elliot and actor Kinon Kepplinger join Darel Snodgrass to discuss the new show. 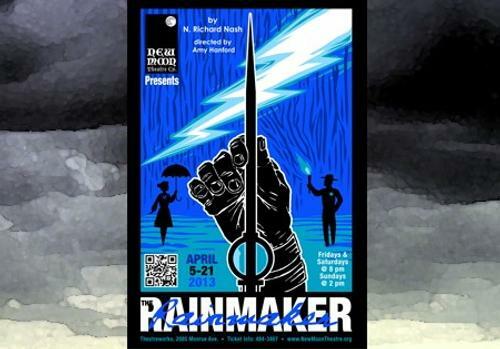 Based on the writings of Mary Shelley, the play tells the classic tale of Dr. Victor Frankenstein and the creation that ends up ruling his life. The story opens on a haggard, emaciated, and nearly frozen Frankenstein and follows him as he obsessively strives to uncover the secrets of life. 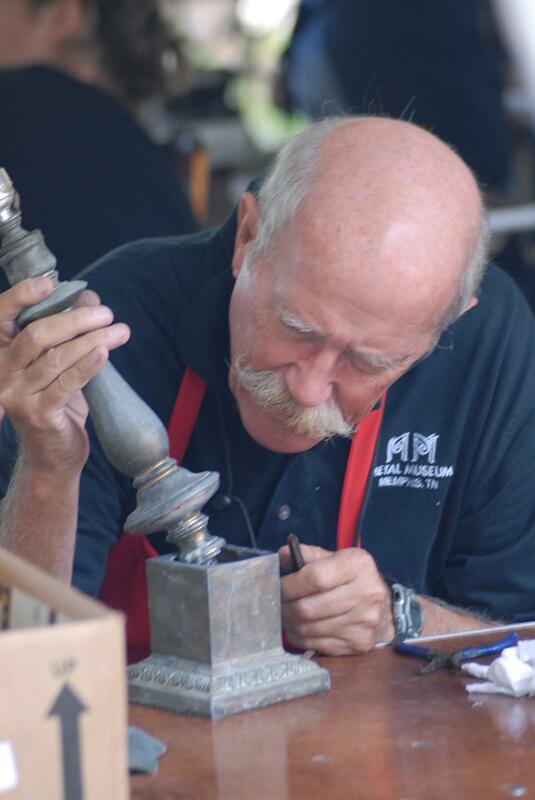 It's time once again to gather up your dull knives, bent garden tools and dented pots and pans - it's Repair Days weekend at the Metal Museum. Renowned writer, actress, and storyteller Elaine Blanchard, known for her autobiographical performance, For Goodness Sake, and creator of the Prison Stories project, now brings us a new chapter in her life story. 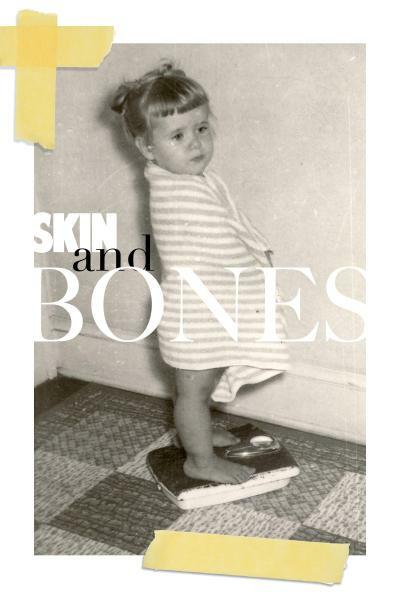 Skin and Bones is her true account of learning to live well with the body she was given, while offering audiences a glimpse into her own struggles with weight, body image, faith, love, and family. Darel Snodgrass talks with Ira Glass about his upcoming performance in Memphis, Reinventing Radio: An Evening with Ira Glass, Saturday, October 5, 2013, at the Orpheum Theatre. 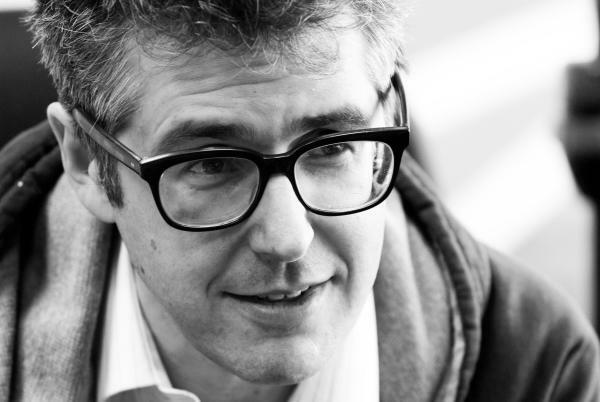 The show features Glass -- radio pioneer, host, and creator of This American Life -- as he mixes live stories with pre-taped quotations and music. He will also be featuring a “best of” segment from some of the series’ funniest moments. If you're tired of sneaking bags of zucchini onto your neighbor's porches overnight, or have realized in a panic that you can't possibly eat your farmers market haul before it goes bad, Kevin West can help. 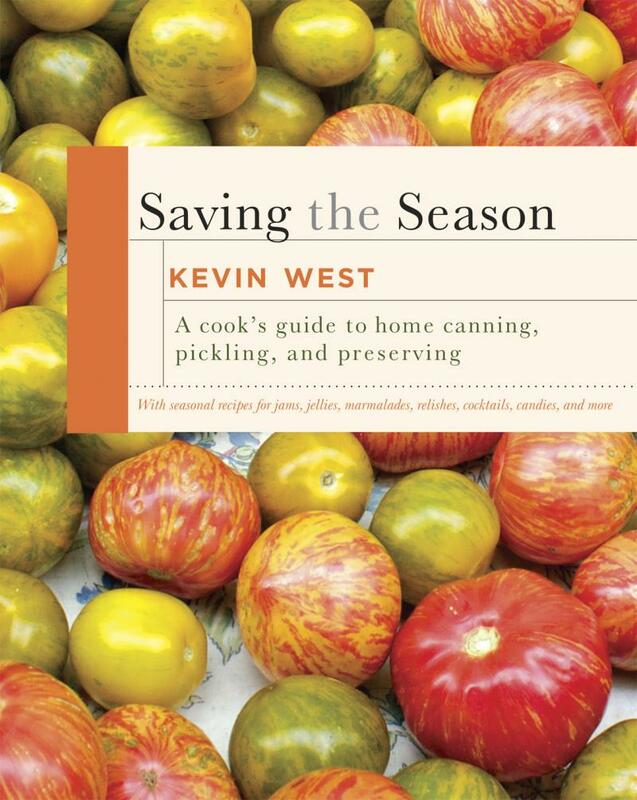 His new book is Saving the Season: A Cook's Guide to Home Canning, Pickling and Preserving and he joined us in the studio to talk about his very modern approach to an ancient culinary art. 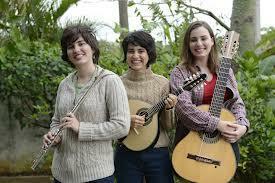 Choro das 3 is a Brazilian trio formed in 2003 by three sisters from the state of Sao Paulo. Despite their youth, they have amassed an amazing number of achievements, playing for audiences large (over a million) and small (for President Lula da Silva.) They've garnered numerous national awards in a country that takes its music very seriously. They will be performing July 10 at First Congregational Church as part of the Memphis Acoustic Music Association concert series. 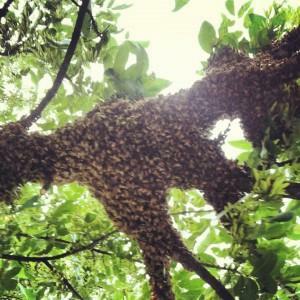 Is beekeeping an art form? Darel Snodgrass thinks so, and talked with local "bee whisperer" David Glover about swarms, removing bees from your house, and why bees are important to all of us. At the time of a paralyzing drought in the West a family is worried about their dying cattle. Added on top of this worry is the daughter, Lizzie. The Memphis Symphony Orchestra is gearing up for its second POPS show of the season: Home for the Holidays, a cheerful celebration of all the favorite holiday carols and sing-a-longs. 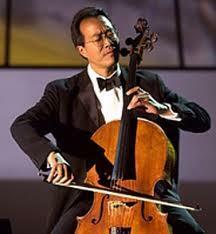 Yo-Yo Ma Headlines Memphis Symphony Orchestra concert. World-renowned cellist Yo-Yo Ma unites with the Memphis Symphony Orchestra Monday, October 22nd at 7:30 pm at the Cannon Center for the Performing Arts in downtown Memphis. Darel Snodgrass spoke with Mr. Ma about the Dvorak Cello Concerto and the importance of music education. For tickets or more information, 537-2525 or www.memphissymphony.org.